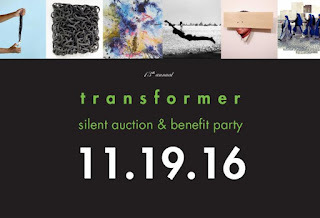 Tickets on sale now for Transformer's 13th Annual Silent Auction & Benefit Party! 13th Annual Silent Auction & Benefit Party! DC Magazine, an exclusive Auction Media Sponsor. Number 2 (from series If I'm right, I can't be wrong), 2015; Imen Ahmed, People of Christ, 2016.
commercial galleries, museums and other cultural institutions. Artistic Excellence Award, The Robert Lehman Foundation, SunTrust, and The Visionary Friends of Transformer. The 19th Annual Bethesda Row Arts Festival, recognized as one the leading fine art and crafts festivals in the United States, will bring together 190 world-class artists in an outdoor gallery that transforms the streets of Bethesda Row in Bethesda, Maryland for two days this fall. The highly anticipated Festival takes place, rain or shine, Saturday, October 15, from 11 a.m. to 6 p.m., and Sunday, October 16, from 10 a.m. to 5 p.m. The event is free and open to the public. The Bethesda Row Arts Festival offers an art sale benefitting the NIH Children’s Charities, thanks to generous donations from participating artists. More information is available at http://www.bethesdarowarts.org or https://www.facebook.com/BethesdaArtsFestival/ or by calling 301-637-5684. Participating in this year’s Festival are pioneering artists creating the highest calibre of art available in the United States today. 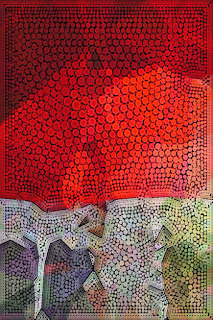 The artisans, from the Washington, DC metro area and from every part of the country, work in media including ceramics, digital art, drawing, fiber, glass, graphics/printmaking, jewelry, metalwork, painting, photography, printmaking, sculpture, wood, and mixed media. All of the artists were selected by a professional jury based on the creativity, innovation, and execution of their original works. A complete list of artists, along with the event schedule, is available at http://www.bethesdarowarts.org. According to Bethesda Row Arts Festival Director Robin Markowitz, the Festival has become a “must see” for area collectors. “We’ve created an exceptional show of stunning fine art for the serious patron and opportunities to purchase original and unique works of art at every price point for the new collector.” explains Markowitz. Now in its 19th year, the Bethesda Row Arts Festival is ranked as one of the elite fine art fairs by the Art Fair Sourcebook, and is considered one of the Washington, DC metro region’s premier arts and crafts festivals. Bethesda Row is located on Woodmont and Bethesda Avenues, Elm Street and Bethesda Lane, east of Arlington Road, in Bethesda, Maryland 20814. It is within easy walking distance from the Bethesda Metro station. Free and paid parking garages are located around the site. With numerous restaurants and cafes, the popular area destination features more than 50 dining options during the Festival. More information is at http://www.bethesdarow.com. Gallery talk October 27 from 5–6 p.m.
Dr. Claudia Rousseau, professor of art history at Montgomery College, curates the exhibition, Landmarks exploring the concept of a landmark in all its possible meanings: from political landmarks to totems to moments of historical change. Montgomery College invited members of the Washington Sculptors Group to submit works that expressed this concept in sculpture. Dr. Rousseau curated the exhibition, choosing works based on a variety of interpretations of landmark. 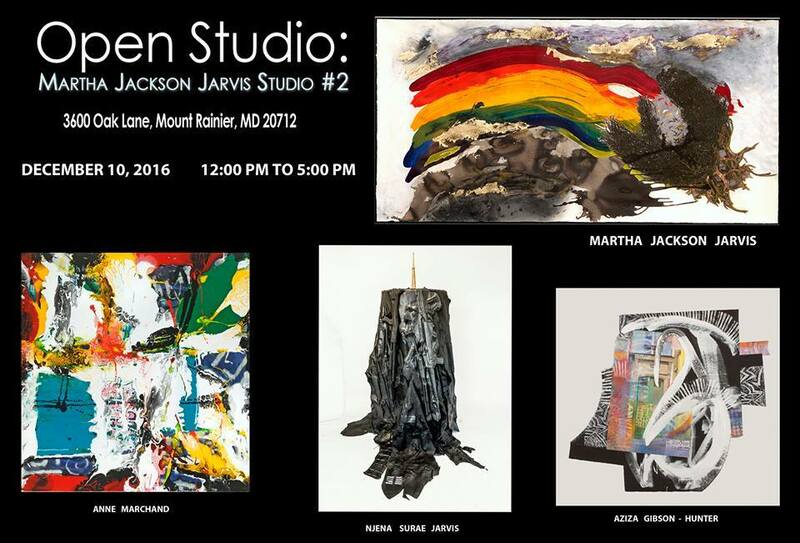 Exhibiting artists include: Jan Paul Acton, c.l. bigelow, Alan Binstock, Nizette Brennan, Jacqui Crocett, Alonzo Davis, Joel D’Orazio, Kate Doyle, Jeffery Cooper, Annie Farrar, Martin Feldman, Mary Annella Mimi Frank, Marilyn Geldzahler, Linda Hesh, Penny Jacoby, Craig Kraft, Ruth Lozner, Rosemary Luckett, Gordon Lyon, Joan Mayfield, Kass McGowan, Rob Muir, Iris Posne, Christopher Romer, Mike Shaffer, Diane Szczepaniak, L. S. Watson, Roy Ysla, and Julie Zirlin. The gallery is on the ground floor of The Morris and Gwendolyn Cafritz Foundation Arts Center on the west side of the Takoma Park/Silver Spring Campus. The center is located off Georgia Avenue at 930 King Street. Parking is available in the West Campus Garage, located immediately behind the center. 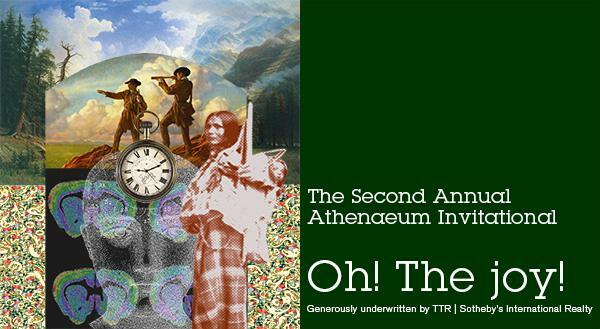 The Athenaeum Gallery is dedicated to the excellent art being created in the District of Columbia, Maryland and Virginia (DMV). We strive to include the best of a broad array of styles and genres, the full complement of media, and to reflect the diverse ethnic and cultural fabric of this region. And then we try to add a layer of context, so viewers have more than a purely visual experience. Even if someone doesn't "like" what is on the walls - we hope they will find it compelling, relevant, and thought-provoking. If nothing else, we hope visitors will leave the Athenaeum Gallery with a greater appreciation for the creative forces at work around them - as we do. Committee on the Arts and Humanities. The theme invited artists to reflect on a moment of pure joy. It was inspired by Lewis and Clark's expedition across the unchartered North American continent to reach the Pacific Ocean. After an arduous, two-year trek, William Clark crested a hill, saw the vast body of water and cried, "The Ocean in view. Oh! The joy!" It was suggested that artists might explore that singular burst of relief and satisfaction after enduring a difficult task, the magic of being struck by something unexpected and delightful, or the sudden transformation that is experienced in sheer ebullience. In fact, at the moment those words were uttered by Clark, the expedition was actually facing an estuary of the Columbia River, not the open ocean. This presented another aspect of the theme for artists to consider: whether a moment of joy is 'valid' when it is later learned that the reason or impetus for the emotion was wrong or undeserved. After deciding on the theme, we selected a small number of artists who have exhibited with us before to create a work specially for the show. Then we posted an 'open call' for submissions to any artist living or working the the DMV. Artists included in the show were selected by Gallery Director Twig Murray. 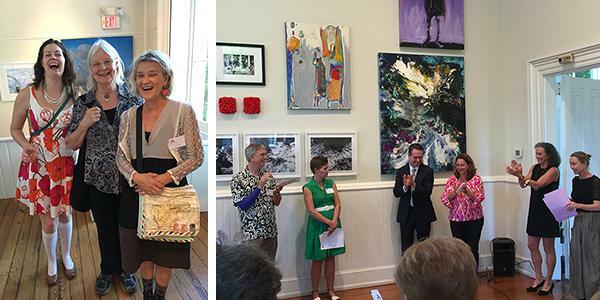 Megan Beyer, Executive Director of the President's Committee on the Arts and Humanities, reviewed the exhibition and determined that the $1,500 Invited Artist Prize would go to David Carlson, and that the $1,000 Open-Call Artist Prize would go to Karen Fitzgerald. The checks were awarded by Rob Carney of TTR | Sotheby's International Realty. Gessner sports his whimsical sculpture, Joy Helmet. This exhibit will be on view through November 6, 2016. 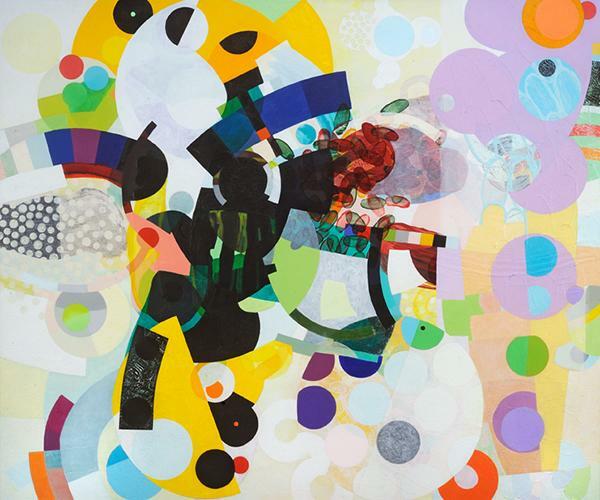 Both artists use diverse painting materials such as acrylic, gouache, airbrush and screen print to build energized abstract paintings. 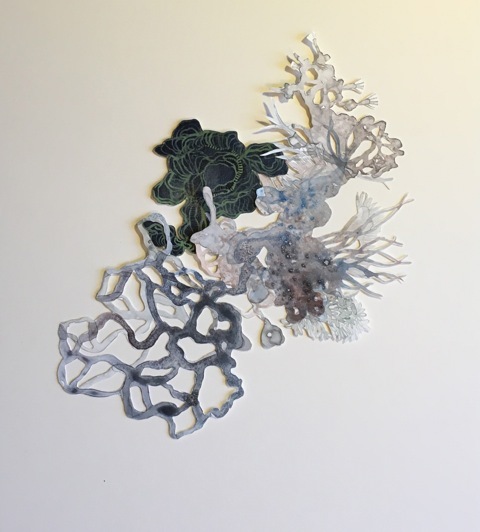 The richly layered surfaces conjure the formal elements of color, shape, and line, while also taking cues from bizarre real life objects such as coral, bolts of lightning or diatoms. 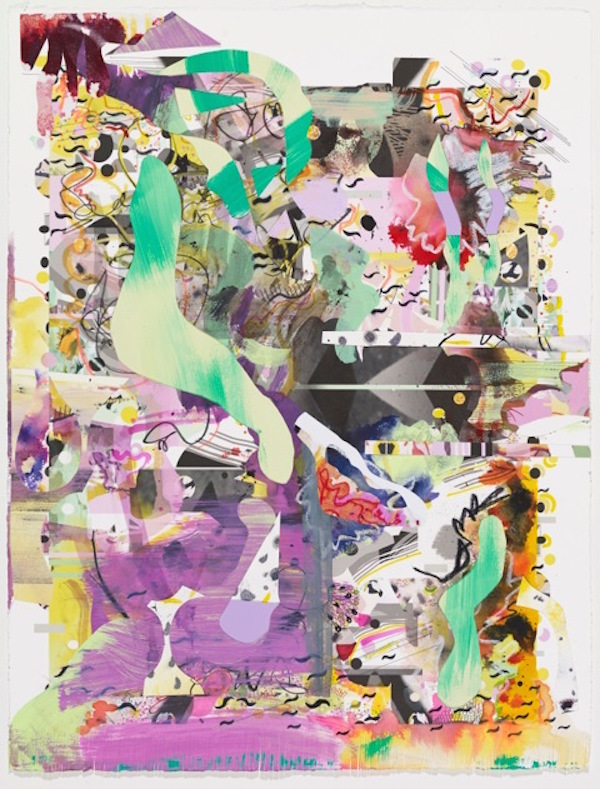 Baines and Chan share an interest in color palettes that evoke meaning and the use of meticulous brushstrokes to convey control in an otherwise uncertain process. With intensely jarring color that flirts with the viewer, their works combine moments of intense observation with a tangible sense of humor to form textured meditations on abstraction and the natural world. Katie Baines and Amy Chan teach at Virginia Commonwealth University. 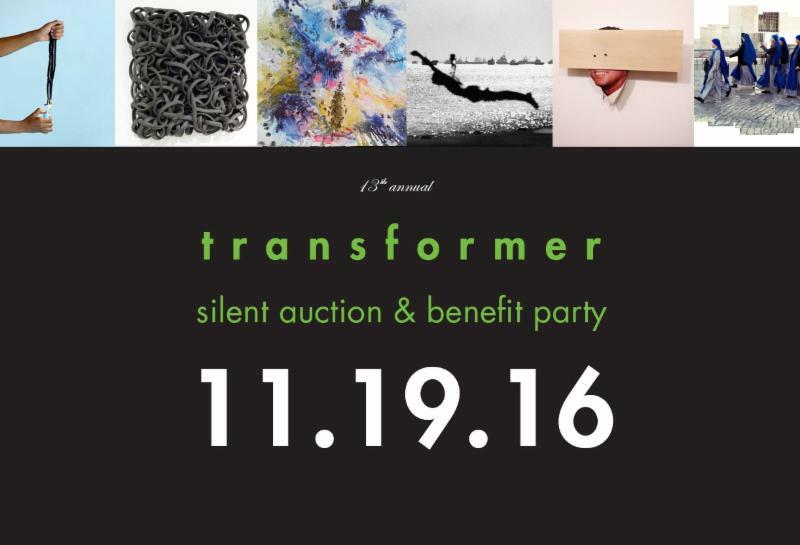 Transformer's Annual Silent Auction & Benefit Party is the primary fundraising event, providing essential support for year-round programming, exhibitions, and services. The auction will feature 150+ artworks by DC emerging and established artists, as well as national and international artists. Transformer is honored to have The Ambassador of Italy, Armando Varricchio and Mrs. Varricchio, as Auction Diplomatic Chairs and to be featuring a selection of artworks by Italian artists. Tickets will go on sale mid-October. Visit transformerdc.org for on-going updates. 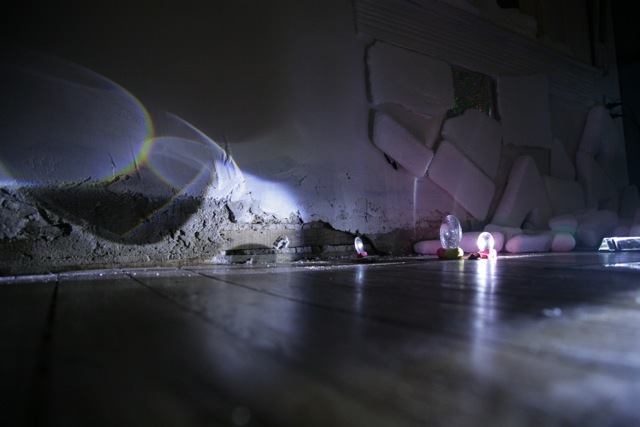 Image Credits (left to right): Nakeya Brown, Sealing Ends Pt. 2, 2016; Laurel Lukaszewski, Map of Night; 2013; Anne Marchand, Laps de Temps; 2016; Renato D'Agostin, Istanbul, 2013; Rodrigo Carazas, Number 2 (from series If I'm right, I can't be wrong), 2015; Imen Ahmed, People of Christ, 2016. A Washington, DC native, Laurel Hausler's love of literature, antiquity, unsolved mysteries and the obscure inspire the stories behind her work. 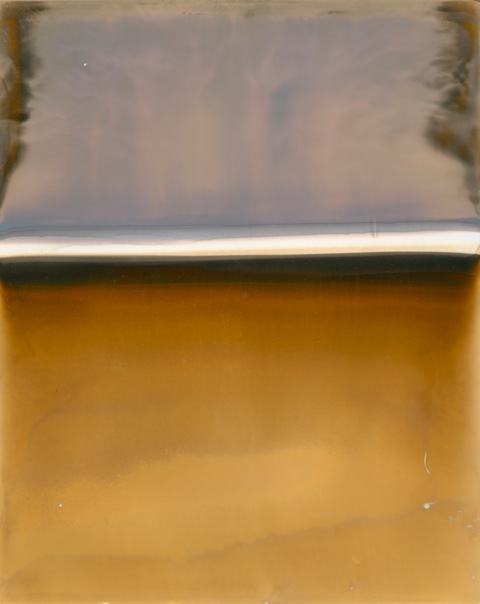 Working in a subtractive and additive process, she creates the surface of her paintings in encaustic, oil and graphite. Admired for resisting a self-conscious approach to process, Hausler reveals lines, veils and gestures on her surfaces that demonstrate her decision-making process through the work's evolution to its finished state. CLICK HERE to view available artwork by LAUREL HAUSLER. Artists from across the region were asked to interpret the theme, "Oh! The joy!" 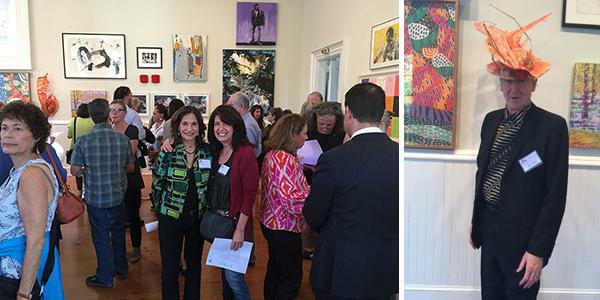 The selected entries represent the breadth and wealth of excellent art being created in D.C., Maryland, and Virginia. Not only displaying a variety of styles and media, the show is a fascinating exploration of the creative process. At the opening reception on Sunday, September 25 from 4 to 6, Megan Beyer, Executive Director for the President's Council on the Arts and Humanities will award cash prizes of $1500 and $1000. The prize money is furnished by TTR | Sotheby's International Realty, sponsor of the event. The winning responses to the open call will be revealed when the show opens. The theme asked artists to reflect on a moment of pure joy. It was inspired by Lewis and Clark's expedition across the unchartered North American continent to reach the Pacific Ocean. After an arduous, two-year trek, William Lewis crested a hill, saw the vast body of water and cried, "The Ocean in view. Oh! The joy!" It was suggested that artists might explore that singular burst of relief and satisfaction after enduring a difficult task, the magic of being struck by something unexpected and delightful, or the sudden transformation that is experienced in sheer ebullience. In fact, at the moment those words were uttered by Lewis, the expedition was actually facing an estuary of the Columbia River, not the open ocean. This presented another aspect of the theme for artists to consider: whether a moment of joy is 'valid' when it is later learned that the reason or impetus for the emotion was wrong or undeserved. Ani Bradberry, Hebron Chism, Nicoletta De La Brown, Jeff Doran, Nekisha Durett, Rita Elsner, Heloisa Escudero, Emily Francisco, Adam Griffiths, Key Han, Jeffery Paul Herrity, Tom Hill, Wayson R. Jones, Chandi Kelley, Kelly King, Aaron Mertes, Joseph Orzal, Patrick McDonough, and Alma Selimovich. Joan Hisaoka Healing Arts Gallery is proud to present LIFE SOUNDTRACK: PRINCE BOWIE & ... Eighteen of the most influential artists in the Washington DC area have been invited to create a visual remembrance, inspired by the recent loss of some of our greatest musical icons and examine the elusive connection between a person and a brilliant stranger. 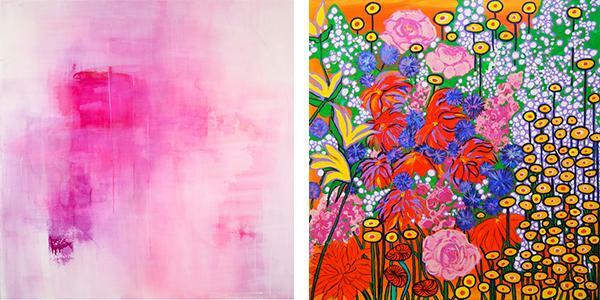 Each of these three artists, in their own way, is concerned with the process of bringing things together. Painting abstractly and with varying ties to the landscape, Gregson, Magnolia and Treado all use paint to explore space and atmosphere as a vehicle for experiencing and entering into their work. 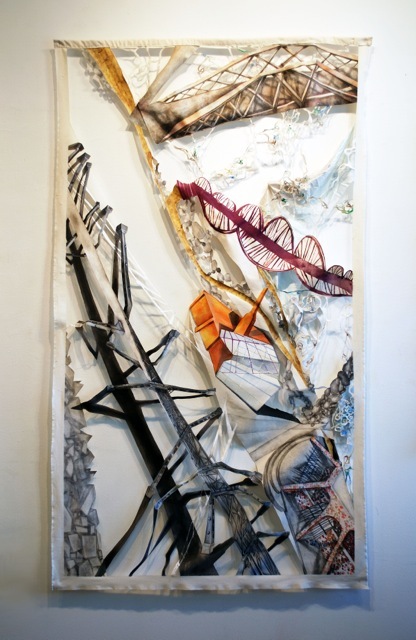 Each artist also expresses an interest in converging paradoxes as a guiding force in their creative process. These include an ongoing dialog between reason and imagination, determination and chance, order and the unpredictable, mutation and adaption, and the instinctive and the intentional. These calligraphic abstract paintings reflect an interest in color, movement and pattern, drawing heavily on the artist’s background in Middle-Eastern language and culture. An interest in dreams and storytelling underlies the work as well, creating a framework for an exploration of the interplay between order and chaos. Joel D’Orazio exhibits a series of paintings executed on interior doors that blend vibrant color and buoyant shape to create dream-like atmospheric entryways. 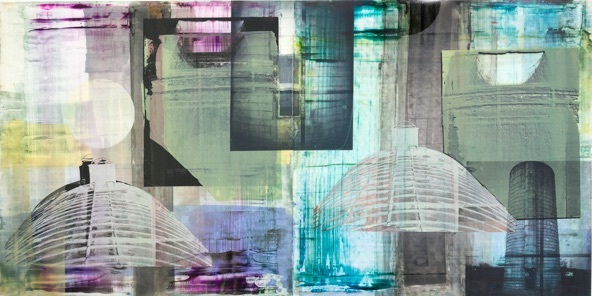 A former architect, D’Orazio taps into a deep knowledge of space, using complex layering techniques that highlight the fluidity of the pint and dissolve any central focus or subject matter. Meet Barbara Grygutis, an internationally renowned public sculptor, and learn about her inspiration for the Spring Hill Metro Station design. Grygutis creates public spaces that enhance the built environment, enable civic interaction, and reveal unspoken relationships between nature and humanity.